These Spring updates usually focus on bright seasonal colors and this year is no exception. As you can see above, the Papaya, Cerulean and Lilac Sport Loops and Teal Tint Nike Sport Band definitely fit with the coming season. 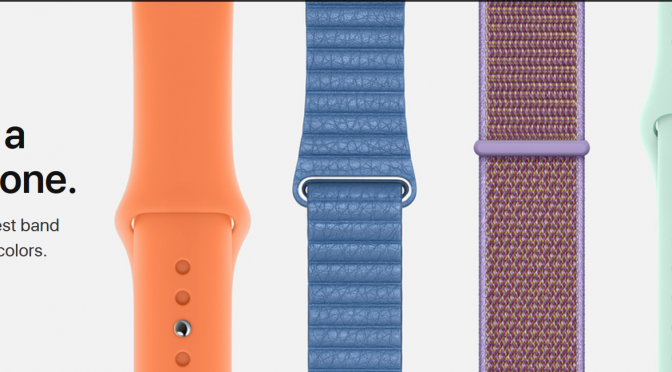 This is just a sample of the new band colors in all types and styles that you will find at Apple’s online store. With my LSU Tigers in this year’s NCAA Tourney, I might just have to pick up one of those Lilac Sport Loops for myself. 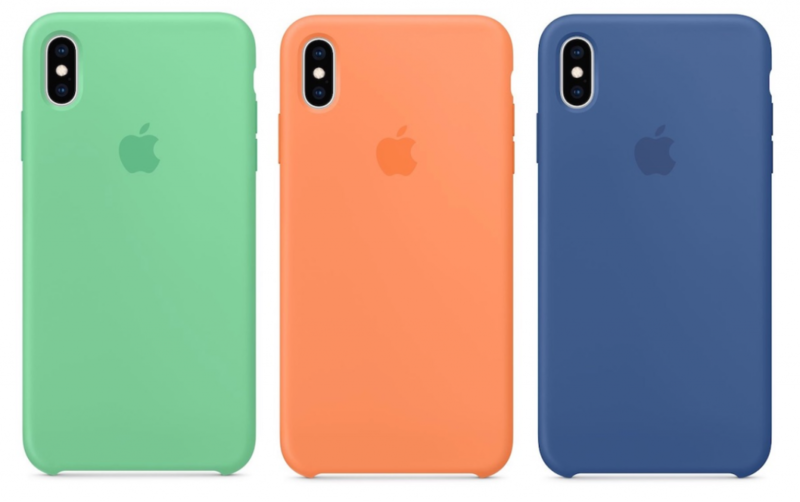 Here you can see some of Apple’s new Silicone iPhone cases in Spearmint, Papaya and Delft Blue. 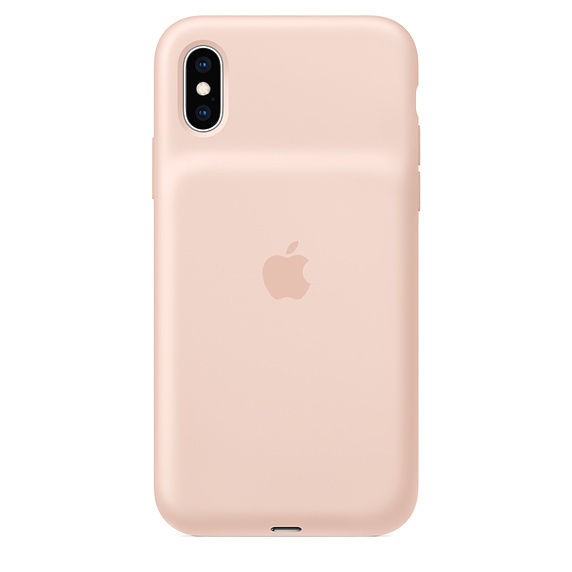 They also released similar Spring colors in their Leather cases, as well as this new Pink Sand version of the iPhone Smart Battery Case, shown below. While today was quite a bit more tame, Apple has certainly had a busy week. It is starting to look like a new iPod Touch will show up sometime down the road, but there is still tomorrow. Will Apple make it 5 for 5 and release the AirPower Friday morning? We shall see. Considering that an image containing the AirPower was found lurking behind he scenes at Apple.com, it certainly sounds like its release is still imminent. I frankly have little interest in it, myself, but I know there are others who really want one. Come on, Apple. Throw your people a bone and get this thing out the door.